Recovering from surgery can be extra challenging for older adults and extra stressful for caregivers. Dr. Chris Dickson shares 7 ways to promote faster healing and make the recovery process easier and more comfortable. Surgery can be tough on anyone. But it’s especially important that seniors get proper post-surgery care because they heal more slowly and are at increased risk of complications. 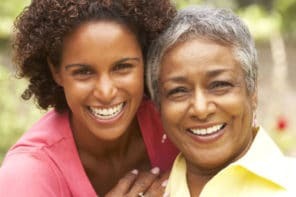 Fortunately, there are ways to promote faster healing and make your older adult’s recovery easier. Here, we’ll describe 7 ways to help speed up the healing process while making their post-surgery experience better overall. Most people bring home new medications after surgery, but seniors may require additional items. Wheelchairs, hospital beds, compression socks, and leg braces are just a few examples of what seniors may need for the recovery process. Scrambling at the last minute to find and purchase these items can be stressful. 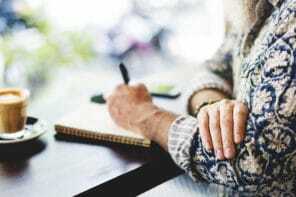 To reduce stress for both of you, talk with the nurses and doctors ahead of time and start making a list of items that will be needed upon your older adult’s return home. Some medications can only be picked up at the pharmacy after hospital discharge, but you’ll be able to get most of the necessary items in advance. For a smooth transition home, clean the house and re-arrange furniture to remove obstacles and hazards. This helps make their recovery as easy as possible. Begin by clearing pathways and removing any throw rugs or other items that could cause a fall or slip. Place remote controls, phones, books, and other frequently-used items within easy reach. If your older adult lives in a two-story home, consider making them a bed on the main level to avoid the need to climb stairs. Anything you can do to make it easier to get around the house will benefit their recovery. Lastly, make sure to stock the pantry with healthy foods that are easy to prepare. Nutritious, easy-to-make meals will encourage eating and promote faster wound healing. For seniors, recovery from major surgery can be a slow, frustrating process. To keep them as comfortable as possible during their return home, there are a few things you can do. If they had knee, ankle, or leg surgery, their doctor may have instructed them to elevate their legs. Be warned – although it seems simple, improperly elevating the legs can have negative effects. A leg elevation pillow helps keep their legs in a raised position that promotes healing. In addition to making them physically comfortable, don’t forget to offer them emotional comfort as well. Having surgery can trigger feelings of helplessness and sadness. Grabbing a few of their favorite things – like magazines, movies, or special food items that are doctor-approved – can boost their spirits. Even if your older adult doesn’t have any memory problems, it can be beneficial to accompany them to follow-up doctor appointments. 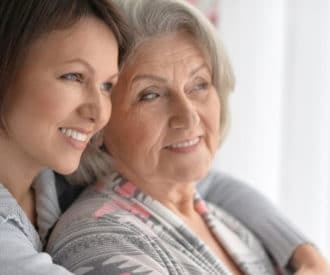 As their caregiver, you may able to fill in details about their health and recovery that they may not immediately remember when the doctor asks questions. Taking notes while the doctor is speaking also helps both your older adult and you remember the most important parts of the conversation. And if you have any questions, this is a good time to ask the doctor to ensure that your older adult is getting the best care possible. Doing too much too soon after surgery can cause a setback in their recovery. The healing process is already slow for older bodies – the last thing you want is for them to do something that puts them back at square one. The doctor should provide information on any post-operation restrictions. This may be difficult for some seniors to follow due to cognitive impairments or a stubbornly self-sufficient attitude. For example, seniors who have cataract surgery should avoid bending over because it puts too much pressure on the eye. If your older adult forgets their restrictions, gently remind them of the doctor’s instructions and offer to complete the task for them. Even if your older adult doesn’t have dementia, they could become confused after surgery. Post-operation delirium is common in older adults so caregivers should be prepared in case it happens. Delirium can mean slower healing and it can be a scary experience for seniors. If your older adult has experienced abnormal confusion in the past, it’s important to let hospital staff know. And if delirium does occur, it’s important to be a calm presence to support your older adult. Then, contact their doctor immediately and ask them to identify the triggering factors and recommend changes to improve the situation. Although it can take weeks or months for delirium to be fully resolved, most cases aren’t life-threatening. If you’re caring for a parent, it’s normal to feel overwhelmed. If you feel yourself becoming stressed out and irritable, don’t be ashamed to ask for help. Professional care workers are available to relieve some of the pressure by caring for your older adult while you take much-needed breaks. This could mean hiring a home health aide or a registered nurse to provide home health care services. Or, hiring an in-home caregiver to help with dressing, moving around, meals, companionship, and light housekeeping. Taking care of yourself helps both you and your older adult. 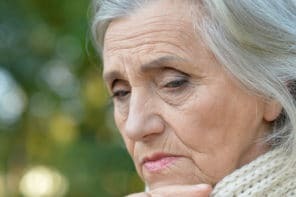 If you’re burned out, seniors will likely notice your irritability. That could make them feel guilty or angry and potentially decrease their healing ability. Guest contributor: Dr. Chris Dickson is a board-certified vascular surgeon and Fellow of the American College of Surgeons. After observing that patients were often found in ineffective positions after surgery, he developed the Lounge Doctor Leg Rest to help encourage them to practice proper recovery positions post-operatively. Dr. Dickson also recommends the Lounge Doctor for leg discomfort, venous problems, and even lower back pain.